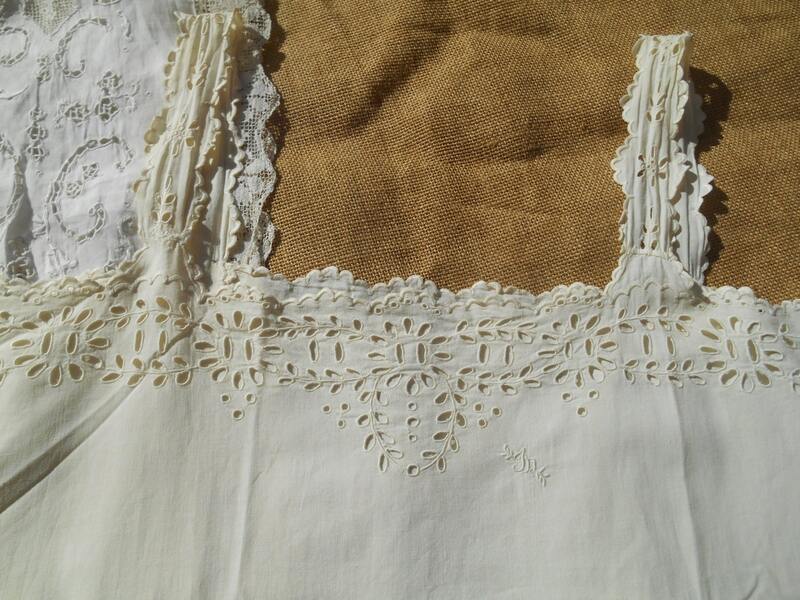 Off White Victorian Slip Hand Embroidered with Cut Work and Monogram. 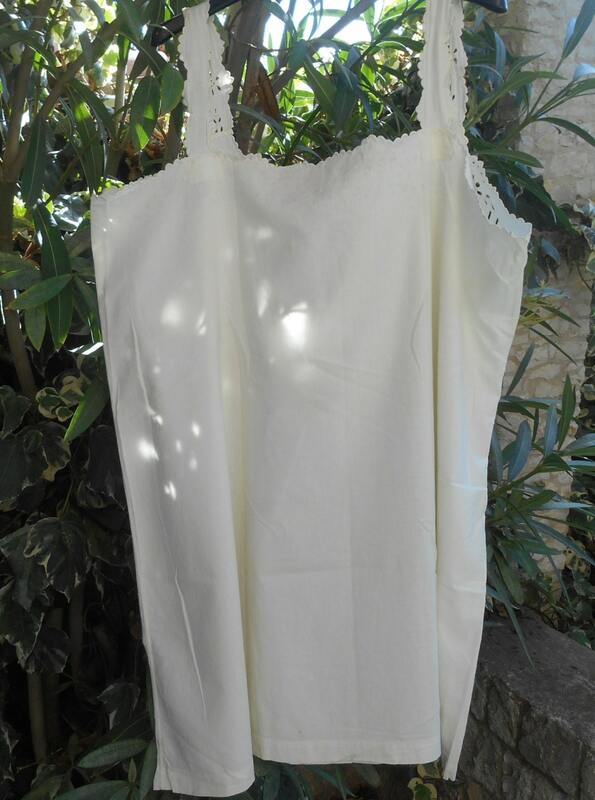 Handmade French cotton dress. Slouchy Wear. 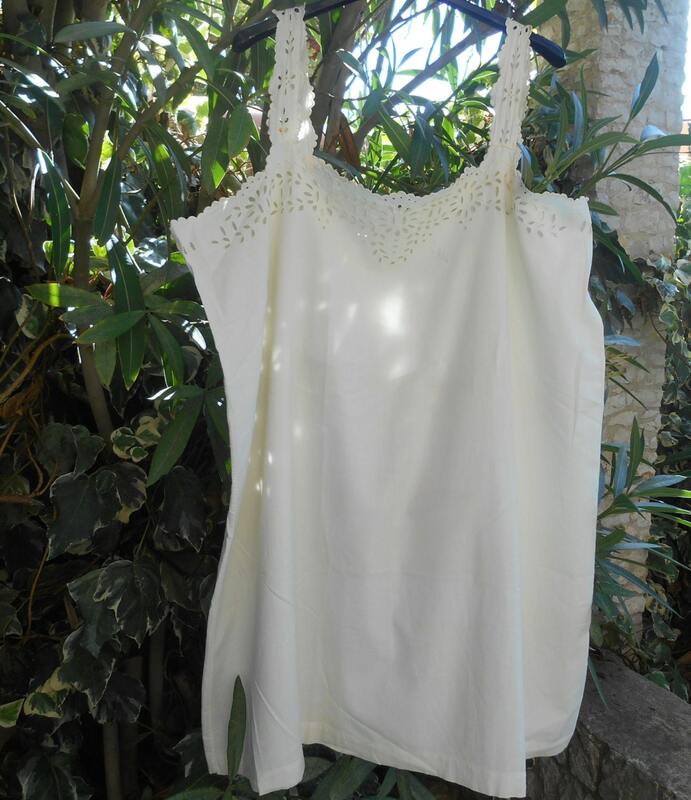 Very lovely and original to wear as a dress or slip! NB : I 'm wearing 100s years dresses . They are very original and comfortable . 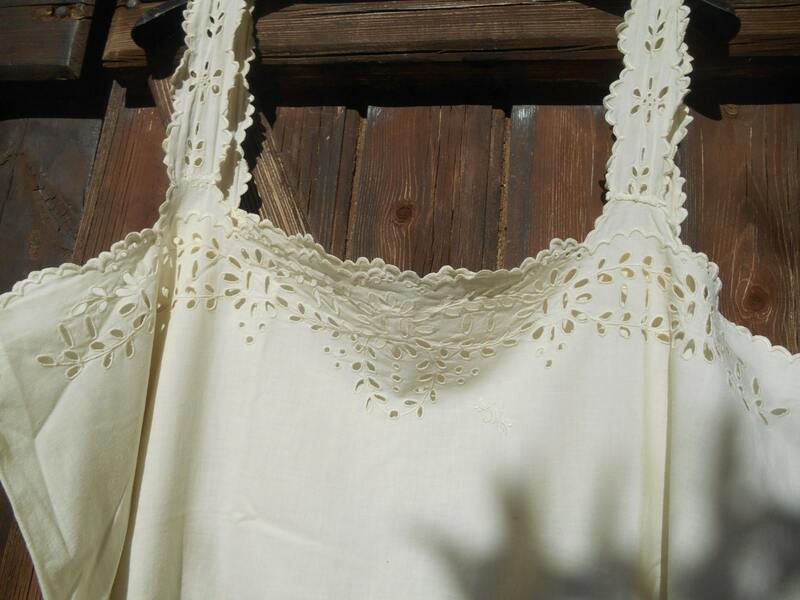 All of them are antique handmade and hand embroidered with LOVE. 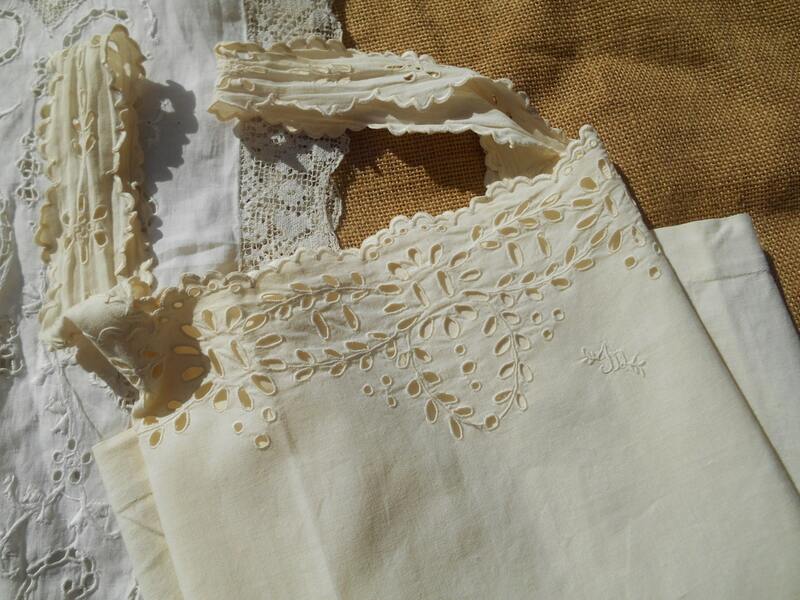 One of a kind, coming from our Grand- Mother's Wedding Trousseau custom. Ladies were sewing to prepare their Wedding Trousseau.